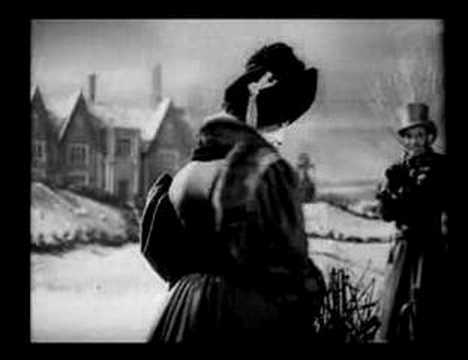 Great Expectations is a 1946 British film directed by David Lean and based on the novel by Charles Dickens. 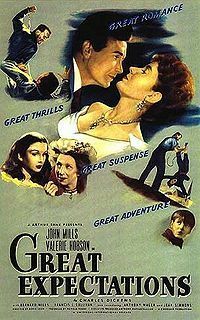 It stars John Mills, Valerie Hobson, Finlay Currie, Martita Hunt, and Alec Guinness. Jean Simmons, who played the role of the young Estella in the film, later played Miss Havisham in a 1989 version directed by Kevin Connor. It was the first of two films Lean directed based on Dickens' novels, the other being his 1948 adaptation of Oliver Twist. The script was written by Anthony Havelock-Allan, David Lean, Cecil McGivern, Ronald Neame and Kay Walsh, and the film was produced by Ronald Neame and photographed by Guy Green.